Poll: Where to buy best youtube views? I'm a beginner so please don't attack me for being a noob lol. Well I started about 7 days ago and I'm hoping to get to $50+ Daily. ALL OF MY VIDEOS HAVE NARRATION so should I invest in a .com or is it not necessary because I tell people in the video that it is my blog? Whats the best way not to get video removed as well? I just started, so I have no tips either. Do what your doing and get more niches up. Your in the right path mate. Don't worry. 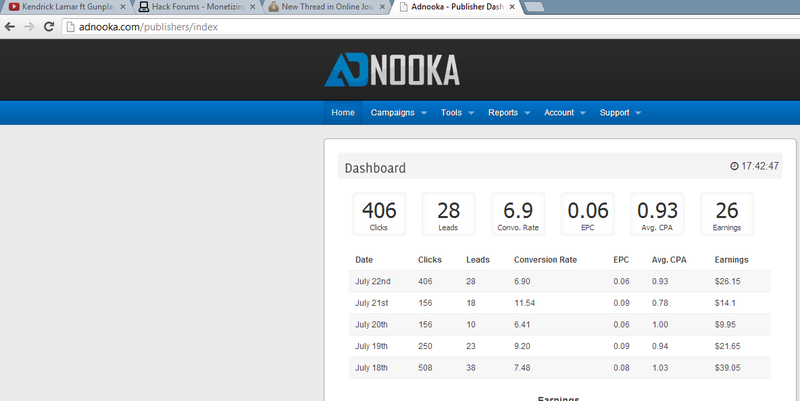 (2013-07-23, 08:58 AM)nerdwarez Wrote: Do what your doing and get more niches up. Very nice earnings, keep up the good work and don't give up. You'll be making well over $50! are you using music niche? or game niche like everybody do? You are spending a heck of alot of money on views. Don't walk before you can run mate. Good luck. (2013-07-24, 04:53 PM)Greenhat Wrote: are you using music niche? or game niche like everybody do?